Adedokun Ayobami is a native of Ibadan, Oyo state, Nigeria. He had a distinction grade in Ordinary National Diploma with a Second Class Upper (Hon) in Electrical Electronics Engineering at Federal Polytechnic Ede, Osun state and a Bachelor of Engineering (B.Eng) in the same discipline at the Federal University of Technology Akure, Ondo state. He is a dynamic young entrepreneur, with a penchant for innovation. 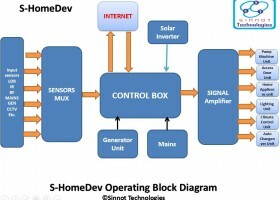 Ayobami is versed in electronics design for solar inverters, embedded system and smart home innovations. He has served in various leadership positions both at the local and state level. He was a recipient of the NYSC State award in Anambra for innovative contributions to the technical educational sector of the state. He is also a devoted Christian. He is the Chief Executive Officer of Sinnot Technologies, and is a member of several reputable bodies – Tony Elumelu Foundation Alumni, IEEE, NSE, NIEEE, ISMN and YALI. He is currently based in Akure where he runs his Masters’ program at the Federal University of Technology, Akure (FUTA) with his research focused on Renewable energy impacts and Communication protocols in Smart Home and Smart Cities.